Ryan Taber and Emma Sekercan play Don Quixote and his housekeeper in a scene from the Rockport High School Drama Llamas' production of "Don Quixote." The comedy, based on the classic Spanish novel by Miguel de Cervantes, will be performed for the public on Friday at 7 p.m. Admission is free. 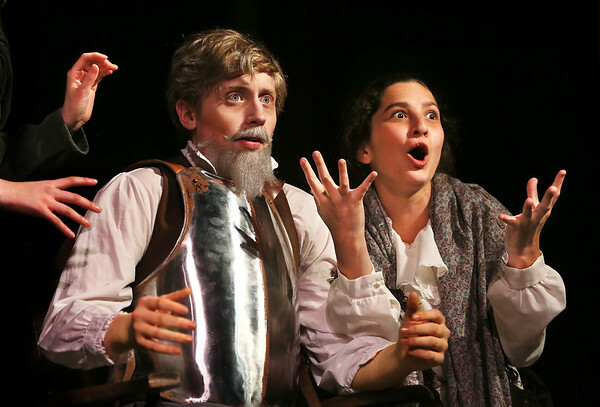 On Saturday, the young dramatists will present "Don Quixote" in the competition at the Massachusetts Educational Theatre Guild Drama Festival at Andover High School.